« The Secret Power of Psychics, Astrologers, Tarot and Palm Readers . . . .
Are any readers old enough to recall Vance Packard’s The Hidden Persuaders? I see Amazon sells a reissued 2007 edition of it. My copy was already old, published 1960, when I first read it. Hidden Persuaders was my introduction to the way the science of psychology was used by the marketing industry to influence potential buyers by subtle manipulation of emotions. Much later I finally caught up with Manufacturing Consent by Edward Herman and Noam Chomsky; then Taking the Risk Out of Democracy by Alex Carey. Many other works on media have followed and I can now say I have some awareness of the history and methods of how stealthily propaganda has worked to guide “the masses” ever since Edward Bernays and the World War 1 era. Four Corners brings you the undercover investigation that has left social media giant Facebook reeling through the unmasking of the secretive political consulting firm Cambridge Analytica. 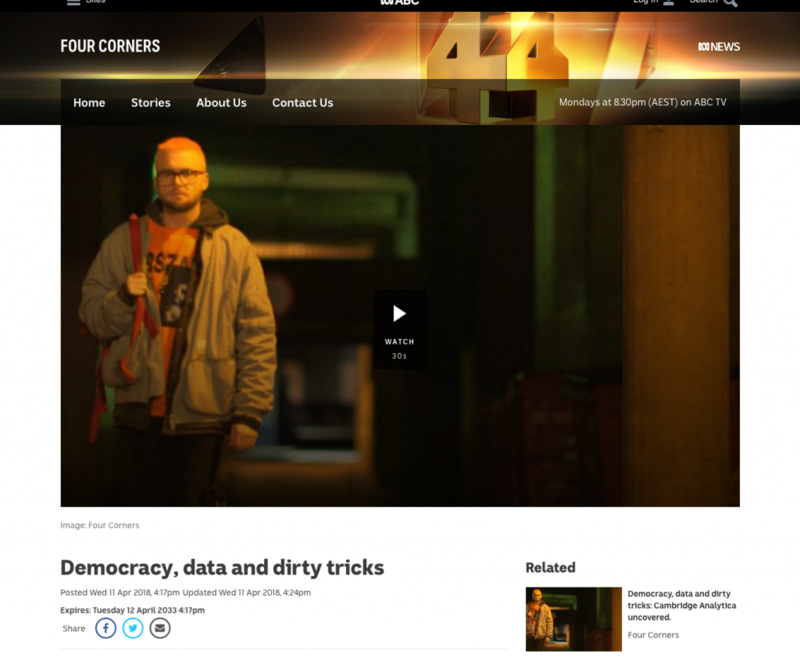 Four months in the making, this ITN investigation for Channel 4 in Britain used hidden cameras to reveal the tactics used by the UK firm Cambridge Analytica to influence elections and undermine the democratic process in several countries. Propagandists know the importance of avoiding any message that looks like propaganda. Soviet and Nazi propaganda was too crude to genuinely persuade millions. Hence control by fear was even more important than the message. Propagandists in western style democracies are far more successful because they are far more subtle. They know how to manipulate behaviour by appealing to emotions. Head arguments and cold facts are irrelevant. In the program key persons in Cambridge Analytica are filmed boasting how they won the election for Trump by a mere handful of 40,000 votes in key states. It was their research that led them to target those states and focus on the margin of potential swing voters. Can we begin to raise awareness and push for the role of propaganda to be taught in high schools as part of a core civics curriculum? Without such community awareness how can we expect democracy to ever survive surface. Posted on 2018-04-16 12:42:07 GMT+0000 by Neil Godfrey. This entry was posted in Mass media, Politics & Society and tagged Democracy, Mass media. Bookmark the permalink.